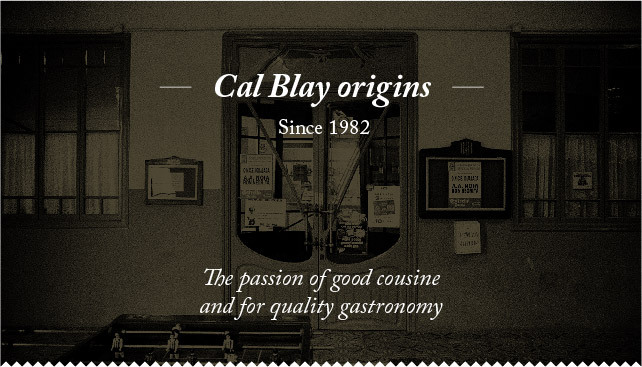 Cal Blay history is a trajectory that was born more than thirty years ago, but it maintains, until today, intact, the illusion to innovate, serve and satisfy to the clients through the gastronomy. With culinary roots based on traditional Catalan cuisine, for more than three decades, we have opened new horizons, betting not only on experimentation or creativity in our dishes, but also by the multitude of ways to offer them, making that one humble and small family restaurant opened in 1982 in a gastronomic company with catering for mothers, events and wine tourism activities. And all, of course, without ever abandoning the main reason why we were born. 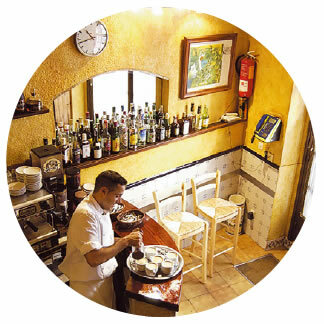 Cal Blay history is the one with a trajectory that was born more than thirty years ago but it still maintains today, intact, the illusion to innovate, serve and satisfy the clients through the gastronomy. With gastronomic roots based on traditional Catalan cuisine, for more than three decades we have opened new horizons, betting not only on experimentation or creativity in our dishes, but also by the multitude of ways to offer them, transforming that humble and small family restaurant opened in 1982 in a gastronomic company with a catering service for weddings, events and wine tourism activities. 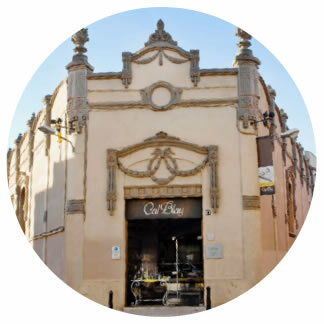 The origins of Cal Blay go back to the moment when Pere Carda and Maria Torner started a new stage in the most emblematic place of Sant Sadurní d’Anoia, initially offering only the bar service. The Carda-Torner couple, with its four children, opens its restaurant with the aim of offering honest and traditional cuisine but looking for a high gastronomic level. Years after the inauguration of the Cal Blay restaurant, it begins with the catering service for schools and events, prelude and germ of the transformation that the company will carry out with the turn of the century. 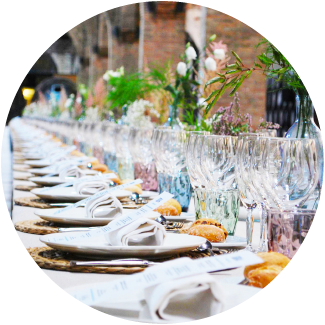 With the children already incorporated into the business, a line of customized catering services is set up and specialized in weddings or corporate events. 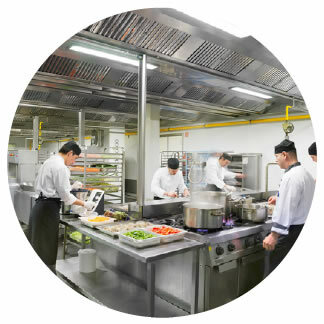 It is the great company transformation, from being a humble restaurant with traditional cuisine to becoming an imposing company in the field of quality cuisine. In Sant Pere de Riudebitlles, a new and more modern headquarters are opened, where central kitchens, offices, the logistics center and, above all, the area of research and culinary creativity are located. In Sant Sadurní d’Anoia’s heart, a few meters from the site of the original restaurant, Cal Blay Vinticinc restaurant is inaugurated. 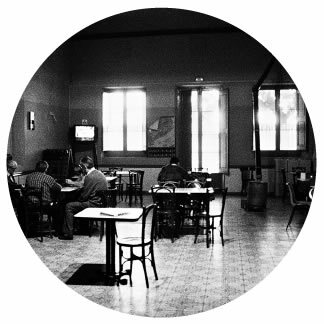 The space, located in an old modernist warehouse, has several rooms and a decoration inspired by the cava world. Located in a privileged environment at the foot of the Subirats Castle and with unbeatable views of the Penedès, El Mirador de les Cavas becomes the ideal place for gastronomy in the middle of vineyards. 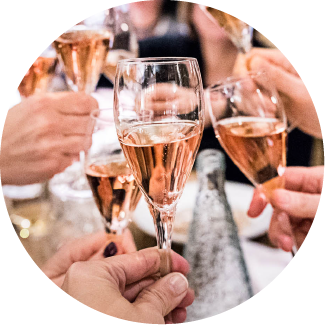 More spaces, more celebrations, more catering, but always with the essence of Cal Blay. 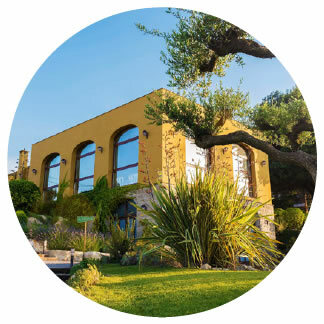 Located in a privileged environment at the foot of the Subirats Castle and with unbeatable views of the Penedès, El Mirador de les Cavas becomes the ideal place for gastronomy in the middle of vineyards.es.